I was a late bloomer when it comes to Sherlock Holmes. The first Holmes I knew was through television and film, and while the general idea of the character and his cases were intriguing, portrayals of Holmes as patronising and Watson as incredibly stupid didn’t light a spark in me. Then came the Granada TV series (1984-1994) starring Jeremy Brett and David Burke, so sparkling and smart that it sent me back to Conan Doyle’s original stories. I’ve been a dedicated Holmes-and-Watson fan ever since. My love of the characters extended to the first few seasons of the BBC reinvention of the characters for the 21st century. That series, and fan response to it, led me to think more about interpretations of their relationship. Epic best friends or potential lovers? It’s always struck me that they’re both valid interpretations in the modern era. Even the US series, Elementary, portrays Holmes as a sexual being, and even a romantic one. I’m still not wedded to any particular interpretation of the characters. Sherlock Holmes can be asexual; Watson bi; both straight; both gay. I’ve read variations on them in terms of gender and sexuality, including trans interpretations. I’ve written my own too: The Adventure of the Colonial Boy is an adventure sent in Australia in 1893, in which they solve a case, encounter a red leech and admit their love for each other, despite the social dangers. I’ve written them as modern men falling in love too, for a story in A Murmuring of Bees. Yet a romantic relationship isn’t the only possibility I see, and I continue to write more traditional epic-besties interpretations, which have been published in the MX Book of New Sherlock Holmes Stories Parts V and VI, in the upcoming Baker Street Irregulars 2 anthology of alternative universe stories, in which I’ve made them a couple of Melbourne hipster baristas. Someone once asked me, given my broad approach to reading the famous friendship, what I thought the core of a Holmes story had to be to still be a Holmes story. Whether or not they are lovers seems neither here nor there, when you consider that in their history they have variously been African American (New Paradigm’s Watson & Holmes comic), women (The Adventures of Shirley Holmes), robots (Sherlock Holmes in the 22nd Century), a puppet (2014 Japanese Sherlock Holmes), a dog (Sherlock Hound) and mice (The Great Mouse Detective). For me, the core of the stories of Holmes and Watson are adventures and friendship. And whether they are genderswapped, anthropomorphised rodents, clockwork or in love with each other, if they have friendship and cases, that’s Holmes enough for me. All of this leads me to Sherlock Holmes: The Australian Casebook. 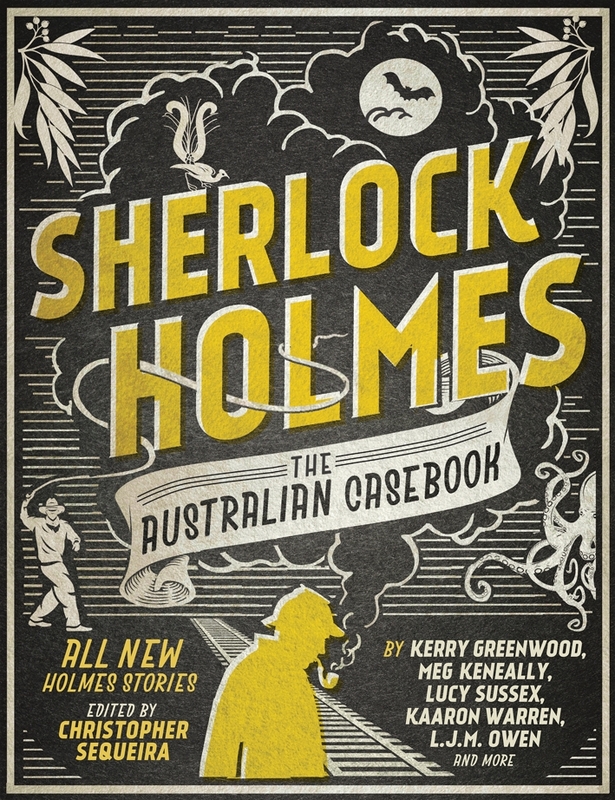 Edited by Christopher Sequeira, and published this month by Echo Publishing, The Australian Casebook sees Holmes & Watson solving mysteries around the colonies in 1890. 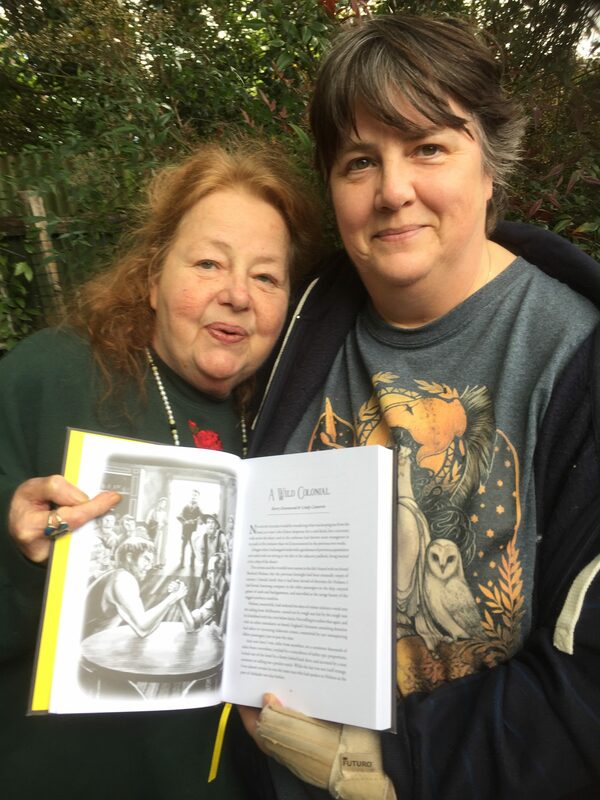 It’s a fabulous, illustrated production with 16 tales of mystery and derring-do, by 17 Australian writers, including fellow Sisters in Crime members, Kerry Greenwood & Lindy Cameron, LJM Owen, and Lucy Sussex. My story, The Mystery of the Miner’s Wife, is set in Ballarat in 1890. But what draws writers to the Great Game of writing Sherlock Holmes stories? 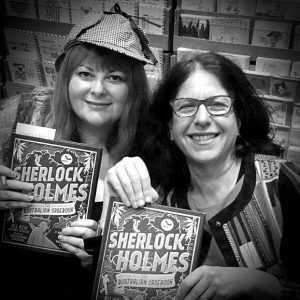 I asked my fellow contributors to Sherlock Holmes: The Australian Casebook for their thoughts. ‘There are no cheats in Doyle’s stories, no short-cuts or cop-outs. 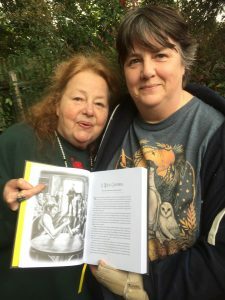 The puzzle is solved brilliantly every time,’ agreed Kaaron Warren, who contributed Shadows of the Dead, which includes Australia’s first female doctor, Constance Stone, as a character. Almost overwhelmingly, though, it’s the partnership of Holmes and Watson that brings all the writers to the yard. ‘The characters balance one another out,’ says Robert Veld, who drew on his own convict-related family history for inspiration for The Murder at Mrs Macquarie’s Chair. ‘Under normal circumstances, these two vastly different individuals would not cross paths. However, through a unique set of circumstances, these two come together and find that they actually need and depend on one another. When you read a Sherlock Holmes story for the first time, you go in search of a great mystery story. When you go back to that same story throughout your life, long after you are well aware of the plot, you are going back for something else: Holmes & Watson. 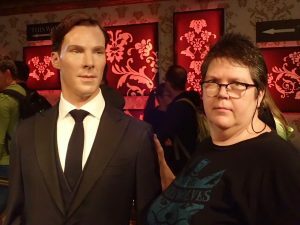 Fellow Sister, Lucy Sussex, says, ‘I thought it would be fun for Holmes to meet a female feminist detective. And as it happened they got on famously.’ Her story, The Story of the Remarkable Woman, is set on a steamer travelling between Australia and New Zealand. TSP Sweeney’s The Case of the Vanishing Fratery is his first Holmesian story, though he’s been a reader since his father first gave him ‘yellowed and dog-eared old books’. Writing a story set in Australia provided Sweeney an opportunity to explore the history of his home as well as of placing these familiar characters into a destination on the opposite side of the world. 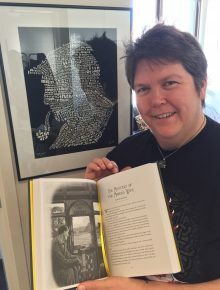 Long-time Holmes writer Christopher Sequeira commissioned the anthology as well as contributing The Dirranbandi Station Mystery. ‘It’s set in Dirranbandi, Queensland in tribute to my late mother, who was born there’. Sisters in Crime member, Dr LJM Owen’s take on why the characters endure is not unlike my own. Dr Owen’s The Adventure of the Lazarus Child draws on the what-ifs of a real mystery in 1890s Queanbeyan, where a child was pulled, apparently dead, from a trench, only to revive two days later. How indeed? 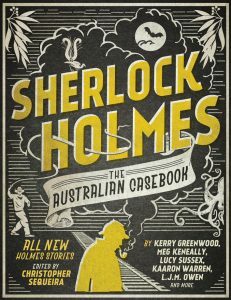 Sherlock Holmes: The Australian Casebook gives you at least 16 answers to all of those questions, and probably to some you never thought to ask. The book is available from all good book shops. Truly.